Plex is designed to organize all of your personal media so you can enjoy it no matter where you are. If you own a plex media sever, it is easy to get your movies free into Plex Media Sever to play on your TV, iPad, computer or phones both home and away. What if we want to share the DVD content via Plex? Actually, it can done effortlessly. Once you convert your DVD movie library to digital files, you can store those files on a server like Plex Media Server and stream them anytime, from anywhere. 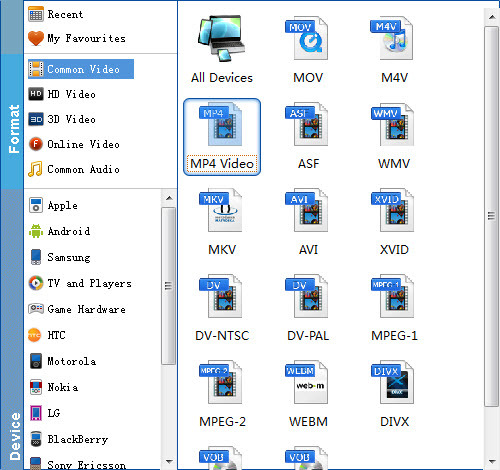 The article will focus on how to rip DVD to Plex Media Sever for playing and streaming. To rip DVD contents for Plex Media Sever, EaseFab DVD Ripper is highly recommended to help you finish the task. With it, you can easily convert the commercial DVD movies to Plex compatible video files with high quality and fast speed. It aims to solve the program by giving us the ability to store our purchased physical DVD discs to local computer, hard drive then stream over a home network for Plex Media Server and ipod touch, Samsung Galaxy s2, HTC one X+ playback. 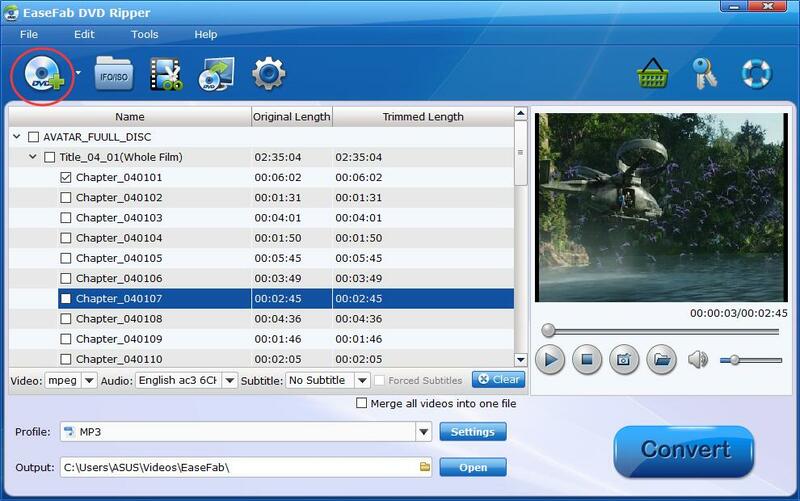 It's professional in ripping and converting DVD discs, DVD ISO image, DVD copies and more. Note: If you have the ripped DVDs that maintain the original DVD file structure(VIDEO_TS), you still need a DVD ripper to reformat these DVD files. It because that Plex states VIDEO_TS and other image file formats (ISO, etc.) are currently incompatible with the streaming system. It has to be repackaged or encoded into a file that can be streamed by the media server. EaseFab's DVD to Plex converter can also be your wise choice for it fully supports converting DVD VIDEO_TS folder and ISO image files. Now download the program and follow the steps below to achieve your goal smoothly. Hit the "Convert" button at the bottom of the main interface to start the DVD to Plex Media Server conversion. Once the conversion is done, click "Open" to quickly find the converted movies. Then, Plex will recognize, catalog, play and stream them just fine. How to Make the DVD Videos Look Like "A Real DVD" in Plex? Read this article - How to Rip DVD to Play "Like a DVD" in Plex Server.